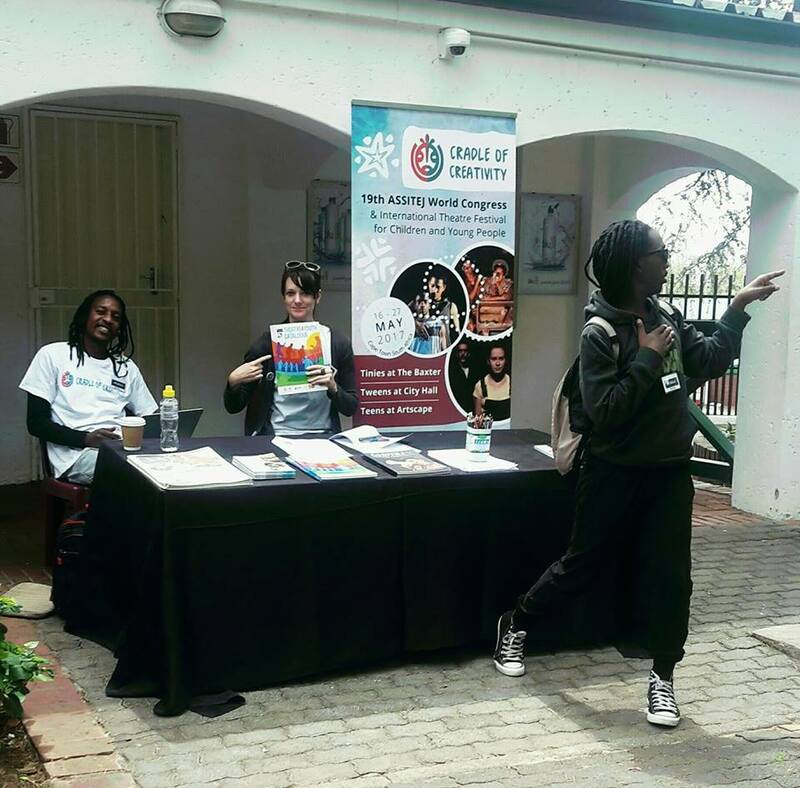 ASSITEJ South Africa with Redhill School hosted the ASSITEJ/Naledi Showcase at the Redhill Arts Festival ‘RedFest’ 23-25 September in Joburg. ASSITEJ SA has partnered with the Naledi Theatre Awards for several years to provide wider scope for the quality work which is touring to schools and learners in Gauteng. A dedicated team of judges now see a much broader selection of theatre for young audiences via showcases which ASSITEJ SA sets up once or twice a year. Productions invited to this showcase are works that the judging panel would not otherwise have been able to see due to the touring nature of theatre for young audiences. They are then eligible (along with work seen in theatre spaces) for Naledi nominations in two categories. The showcase presented productions ‘Cloud Catcher’ (OddBody Theatre), ‘Plastocracy’ (Well Worn Theatre Company), ‘Onderwereld’ (Andre Stolz Productions), ‘Rat Race’ (Well Worn Theatre Company), Space Rocks (Drama for Life), Taking Flight (Zikka Zimba/Hijinks Productions), ‘The Cradle under shade’ (Gauteng Opera) and ‘A short cut to a short life’ (National Children’s Theatre) which are under consideration for award nomination. The categories for which these shows are under consideration are the “Naledi Theatre Award for Best Production for Children (0 – 12)” and “Naledi Theatre Award for Best Production for Young Audiences (13 – 17). The showcase has previously been hosted at the Soweto Theatre, King David Victory Park High School and the National School of the Arts.